Small Caliber Ammunition | MAST TECHNOLOGY INC.
Rifle calibers are available linked, boxed, in ammo packs, and in stripper clips. Pistol ammo is typically only available in 50- round boxes. If there is another configuration that you require, please ask. We are happy to configure ammunition to our customers needs. 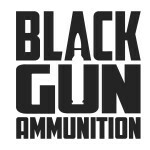 To purchase commercial small caliber ammunition, please visit our sister company, Black Gun Industries.